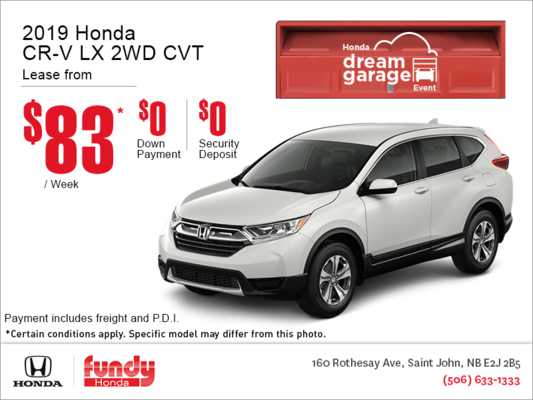 Lease the 2019 Honda CR-V starting from $83 weekly with $0 down and $0 security deposit! 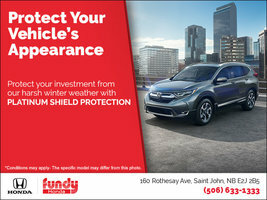 I wish to receive emails on recalls, news, and special offers from Fundy Honda. 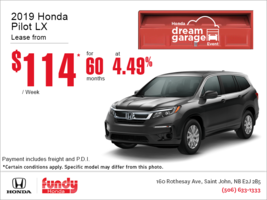 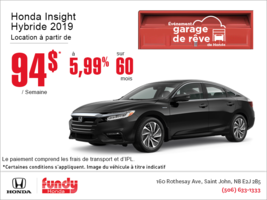 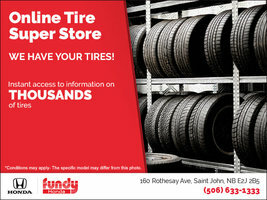 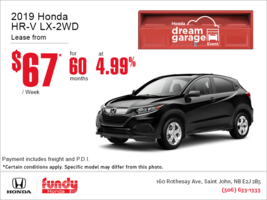 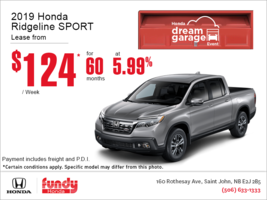 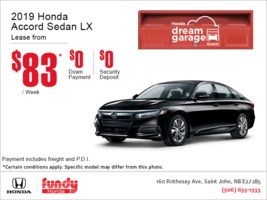 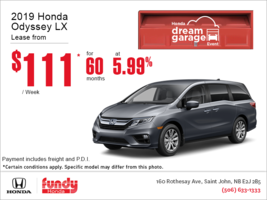 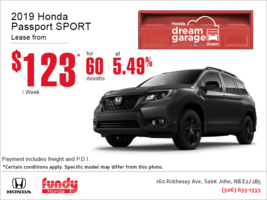 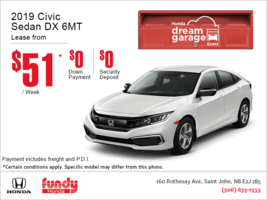 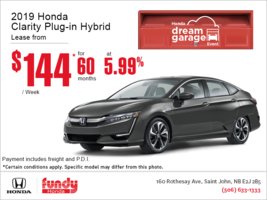 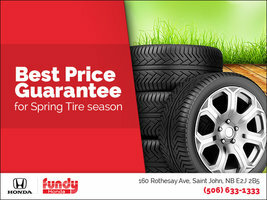 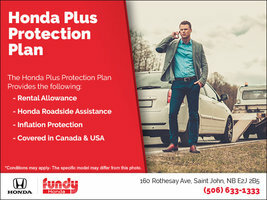 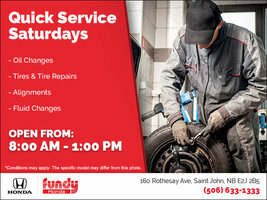 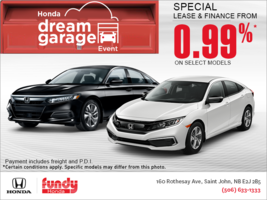 Visit the Fundy Honda Online Tire Store! 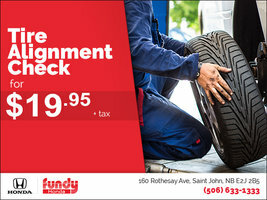 Tire Alignment Check for $19.95!